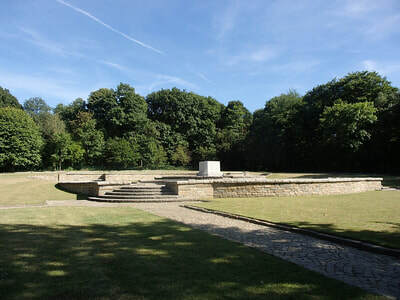 Bourlon wood is seen in the background of Flesquières Hill British Cemetery. 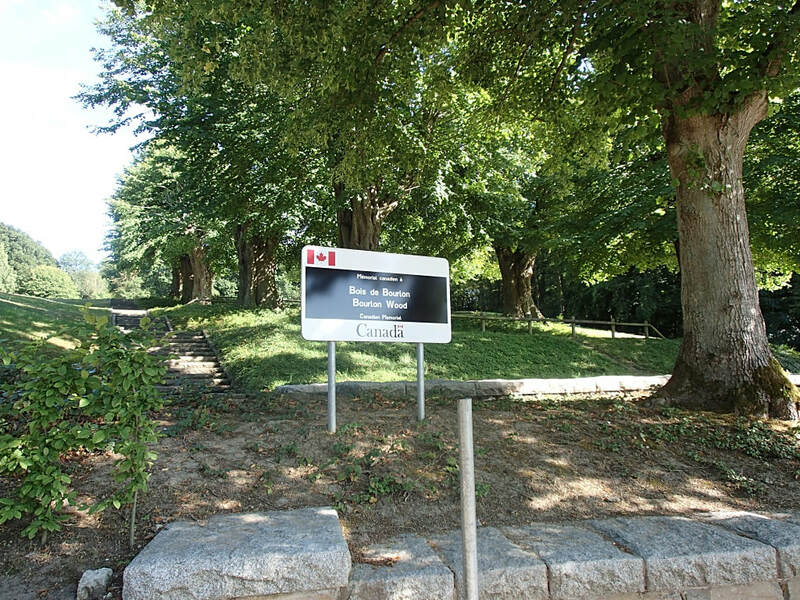 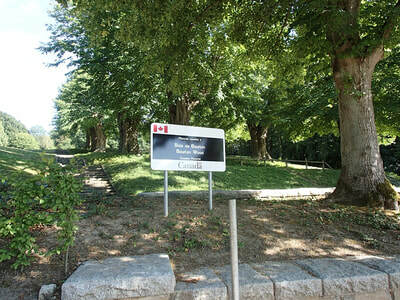 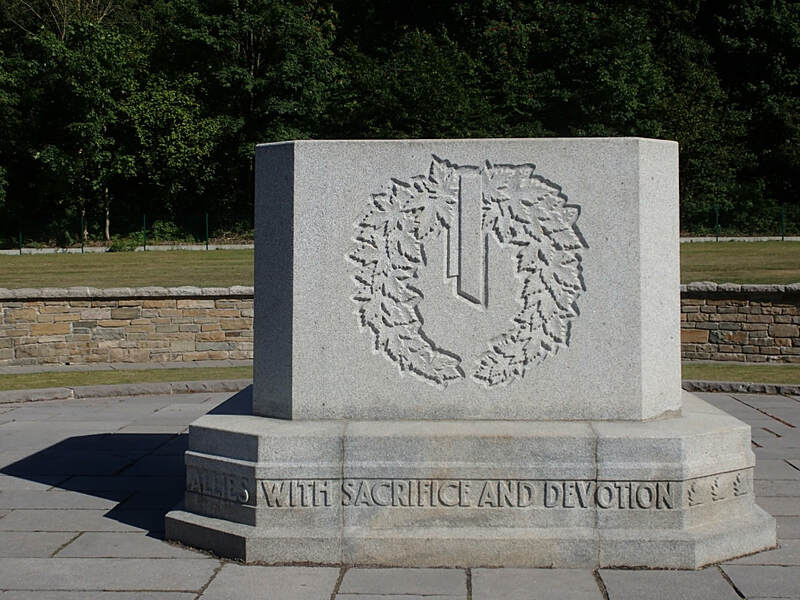 Situated in a park, on land donated by the Comte de Franqueville, the Mayor of Bourlon at the War's end, the Canadian Bourlon Wood Memorial site is located at the end of the 'Avenue du Monument' in the southwestern corner of the village of Bourlon. 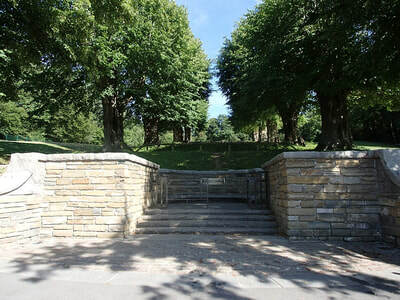 The park is a beautiful series of terraces lined with ancient lime trees that were nursed back to health after having been shattered by shellfire during the battle for Bourlon Wood. The grey granite block monument is set at the top of the hill in a glade of lawn upon a low circular flagstone terrace. 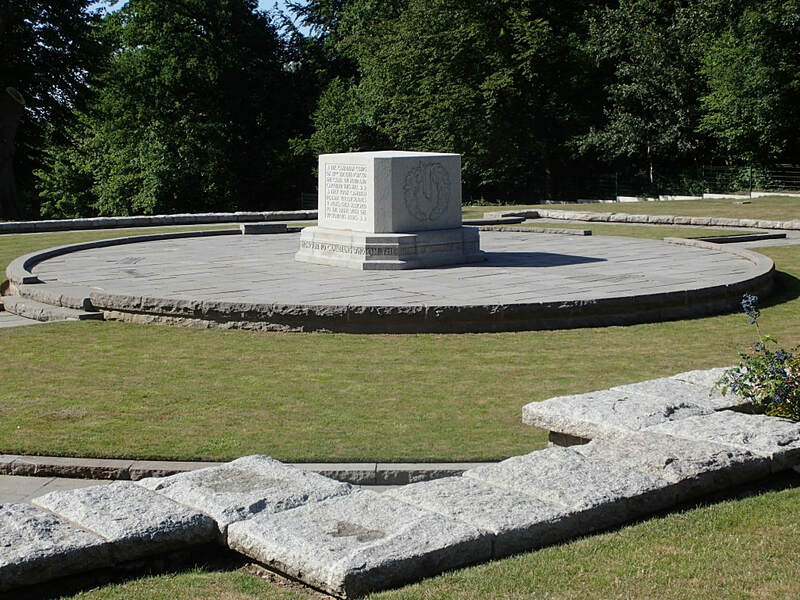 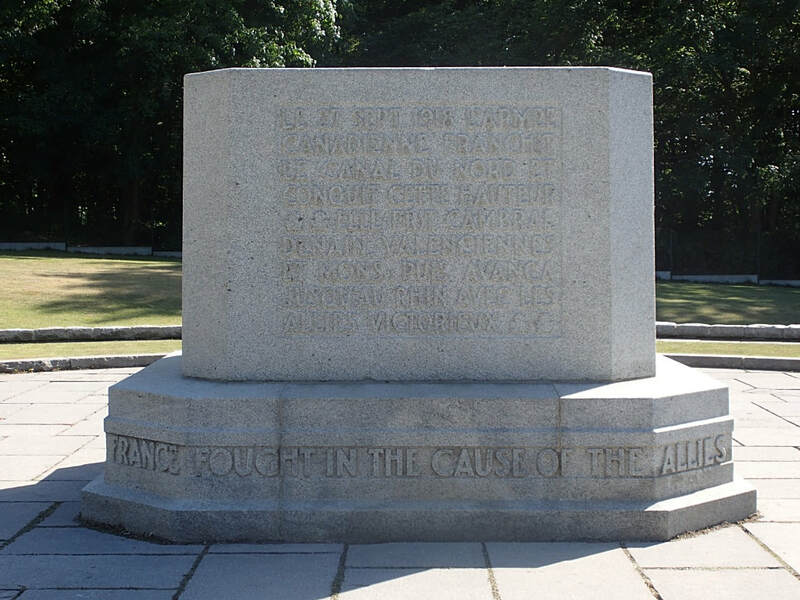 The Bourlon Wood Memorial is a Canadian war memorial that commemorates the actions of the Canadian Corps during the final months of the First World War; a period also known as Canada's Hundred Days, part of the Hundred Days Offensive. Particularly celebrated are the Canadian Corps crossing of the Canal du Nord, their flushing the German forces from Bourlon and Bourlon Wood and the 'Pursuit to Mons' through Cambrai, Denain, Valenciennes and into Mons on 11 November 1918. It is located adjacent to the town of Bourlon (about 10 km (6.2 mi) west of Cambrai, France). 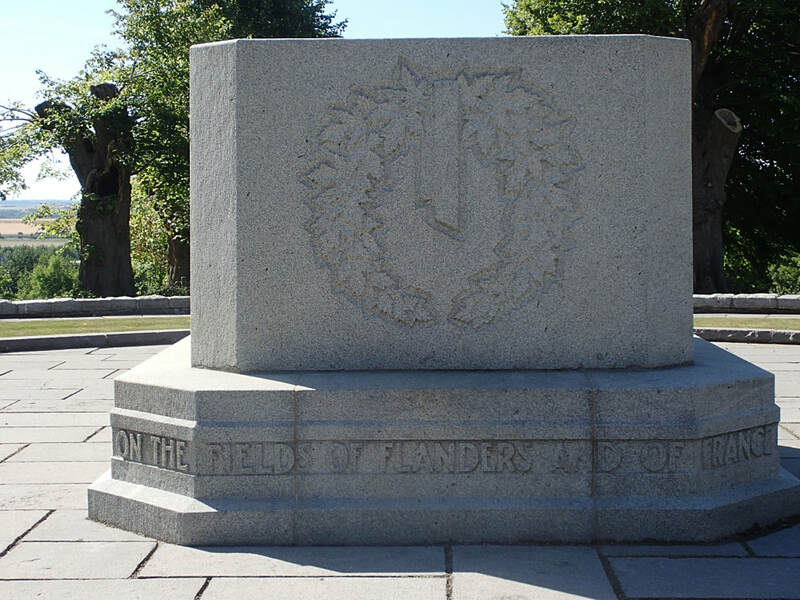 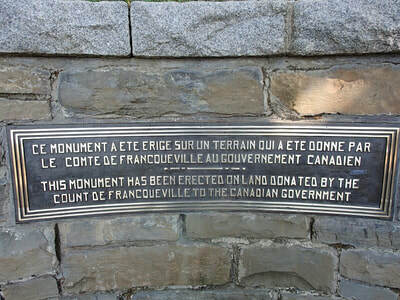 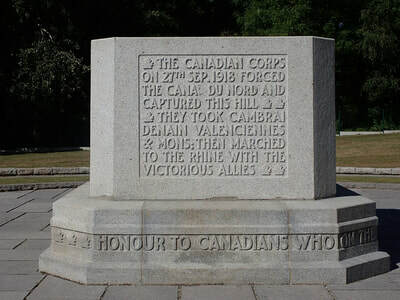 The Canadian Battlefield Monument Commission, established after the Great War, was appointed to select the location and design of the memorials to commemorate the Canadian participation in the First World War. The Canadian National Vimy Memorial at Vimy Ridge was selected as the national memorial site and seven other locations at Hill 62, St. Julienand Passchendaele in Belgium, as well as Le Quesnel, Dury, Courcelette and Bourlon Wood in France were chosen to commemorate significant battles the Canadian Expeditionary Force had engaged in. 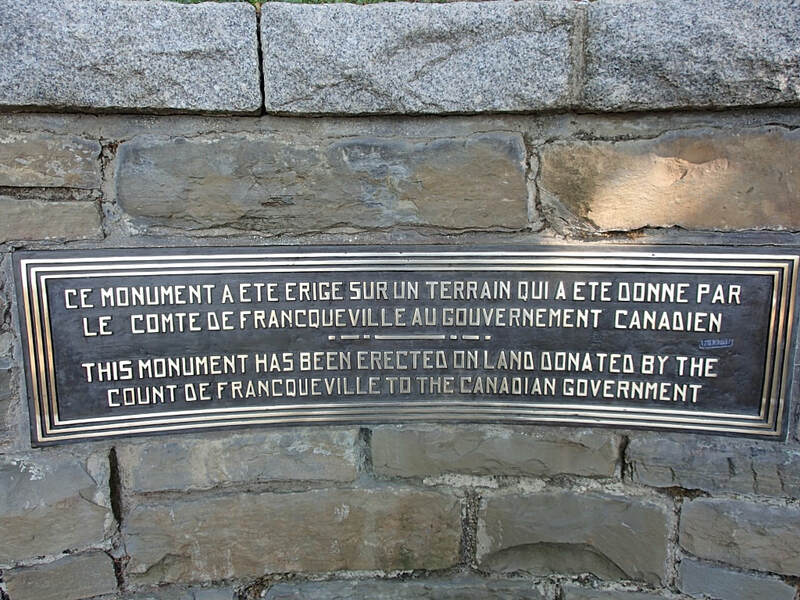 Each of the seven sites were to have an identical granite block inscribed with a brief description of the battle in both English and French.